The Mulligan Mile article in the September 2013 issue of Runners World is what gave rise to my blog Taking Mulligans and has set me on the path to further develop my story into a book, Running Back the Clock. 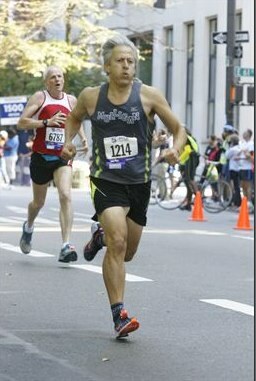 Approaching the finish line at the Fifth Avenue Mile. The completion of one journey, and the start of another– to tell the full story of the Mulligan Mile.